I used to. When I looked out my kitchen door and saw more brown than green, I would grimace and think, “…next weekend.” Inevitably, clean up kept getting pushed back by other, more pleasing events. But there comes a moment when I cannot put off the inevitable; I have to clean up the garden and put it to bed for the winter. Preferable before the heavy rains set in. But I like brisk weather and a clear brisk fall day is perfect to clean out the garden beds and I know I’ll be glad I did in the spring! Anyone who has gardened for a few years has come up with their own tips and tricks for making garden clean up a bit easier. 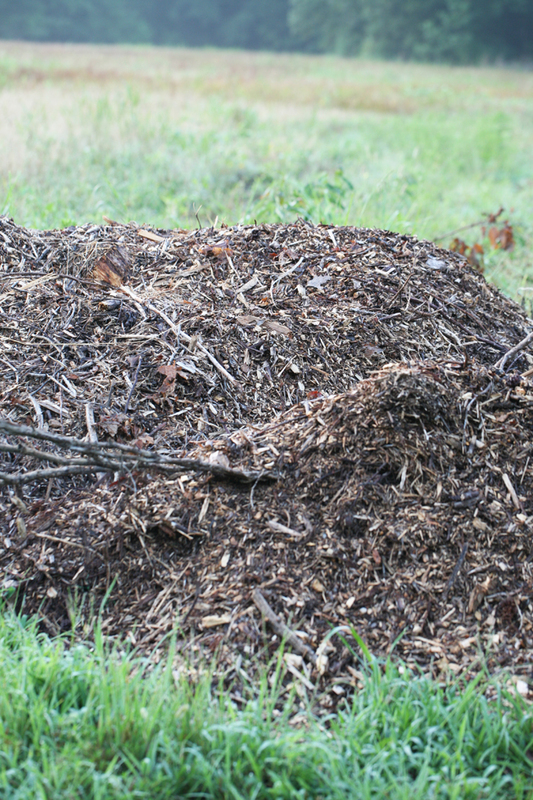 I have discovered a few things that might make life easier for any organic gardener. 1. 1. 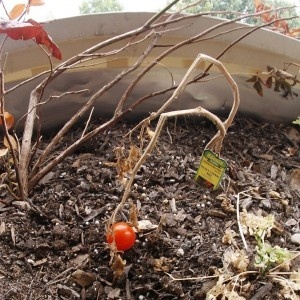 Scissors – the knots you used to tie up tomatoes will be real tight after a summer of rain and heat. Trying to pull them off just frustrates. 2. 2. 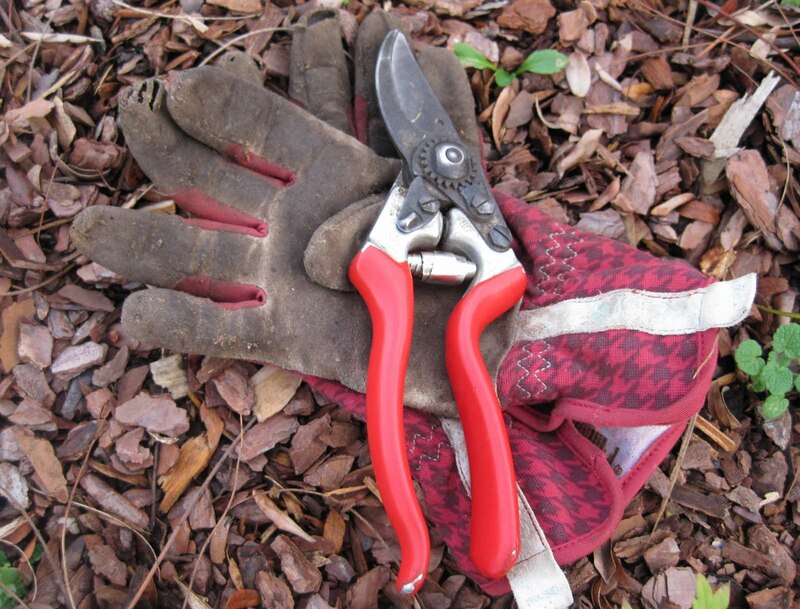 Pruners – if you try to cut back blackberries or blueberries without them, the chances are you’ll do more damage than good. 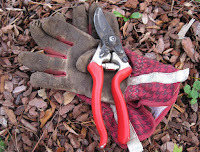 These small, sharp sheers can cut through up to an inch of stalk or wood. 3. 3. Shovel – I sometimes need to coax some of the plants from the ground. Eggplant and tomatoes get stems more than an inch in diameter and their roots can extend up to 10 feet from the base of the plant. So, a bit of shovel power comes in handy. 4. 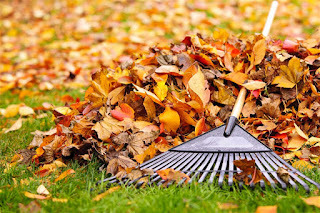 Rake – I prefer the good, old-fashioned garden rake because it’s heavier than a leaf rake and the tines won’t work against me as I rake up fallen tomatoes and peppers. 5. Bucket – I use an empty kitty litter container and I use it to pick up all the tomatoes that hit the ground at the end of the season. 6. Garden gloves – I also coat my hands in lotion and scrape a bar of soap under my nails to make the cleaning up of me afterward a bit easier. I actually find this the most motivating. Pulling off tomato cages, cutting vines out of my trellis and fence and tearing up the roots of the dying plants gives order back to my space and lets me see the promise of next year. 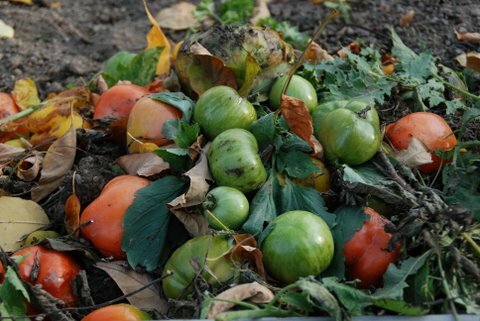 All annual vegetable and herbs plants need to be removed and moved to the compost bin. The perennials like asparagus, blackberries and most herbs can be thinned, mulched and trimmed one last time. Save your trimmings of the herbs to use for dinner tonight! If the flowers I use for pest control (and to jazz up the greenery), like marigolds, zinnia, nasturtiums and petunias, are still blooming, I leave them alone. If they’re finished, they get tossed, too. One last task remains before you can move from clearing to covering. 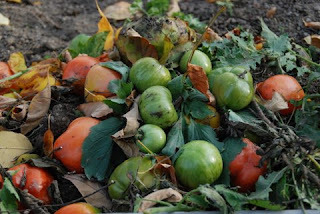 If you grew tomatoes, grab a bucket and pick up all of the fallen tomatoes off the ground. If you don’t you will have a whole lot of baby tomatoes to pull up next year. This is a gooey task but well worth the effort. The same is true if you have a large squash or pumpkin patch. They will send more volunteers than you want to weed out in the spring. Cardboard goes down first. I use it mostly to create a barrier along the edge of my garden where crab grass and creeping Charlie like to lurk, slip under the edges and set up house in my garden. Once the cardboard is down, I put down a layer of leaves. The last layer I put down is grass clippings. Heavier and denser than leaves, they hold them in place. Both break down nicely, enriching the soil and making it better, every spring, for the seedlings to grow and thrive. 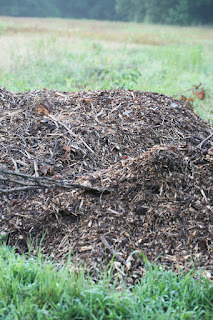 I have raised beds in the yard, but wet winters can cause these to rot so it has been my habit to remove the sides in the fall, use the cardboard to hold the shape in place and replace the beds in spring turning the edges into the middle of the bed and thus turning the soil a bit when I replace the beds.